If you live in Atlanta or are visiting for an extended trip, planning a weekend getaway is a must. From beautiful countrysides to quaint towns, these spots are close enough that you'll only use one tank (or less!) of gas to get there. To Do: Relax in a cute mountain cabin, or go hiking or horseback riding along the beautiful trails of Chattahoochee National Forest. 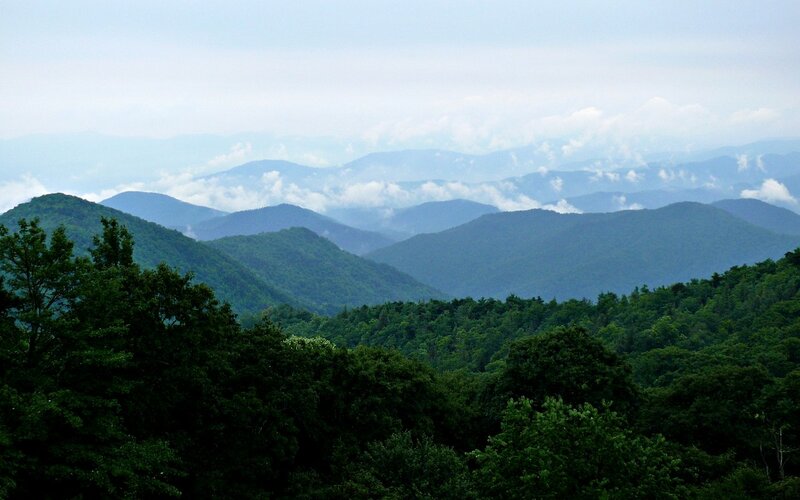 Enjoy the views on a train ride with the Blue Ridge Scenic Railway. If you’re lucky enough to visit in the autumn, crunch your way through all the fall leaves, then grab lunch and go apple-picking at Mercier Orchards. To Eat: For food made from fresh local ingredients, check out Harvest on Main. Craving a little vino? For a nice meal and good wine, go to The Vine Wine Bar & Bistro. To Do: Music buffs can explore The Big House, the former home of the Allman Brothers Band. If you’re into history and architecture, do a tour of some of the many historic homes that still stand in the city known as “The Heart of Georgia.” And if you still want a taste of the outdoors while staying in a city, you can swim, fish, boat, water ski and much more on Lake Tobesofkee. If you’re there in the spring, you’ll see tons of gorgeous cherry blossoms. To Eat: What better place to have soul food than the city “where soul lives”? Try some at H&H Soul Food. If you’re looking for a truly awesome burger joint, head to The Rookery. To Drink: If you’re a bourbon fan, you have to spend an evening at the Bourbon Bar. 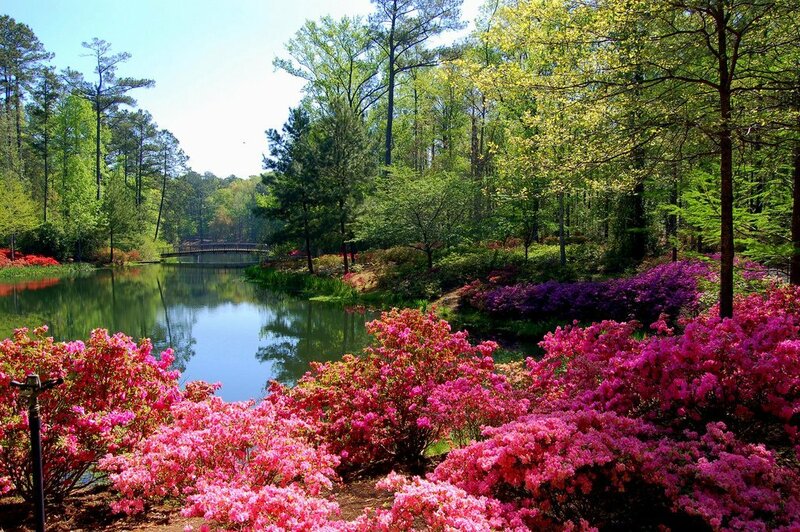 To Do: Check out sweet sights and smells at the colorful Callaway Gardens, or take in nature and a bit of history at the same time at F. D. Roosevelt State Park. If you’re looking for some family-friendly fun, get close to wildlife on a Wild Animal Safari. To Eat: For tasty dining in a historic setting, head to 153 Main Bistro. For fresh baked goods or Sunday brunch, check out The Bakery and Cafe at Rose Cottage. To Drink: Relax after your day at Callaway Gardens with a cocktail at the Ironwood Lounge. 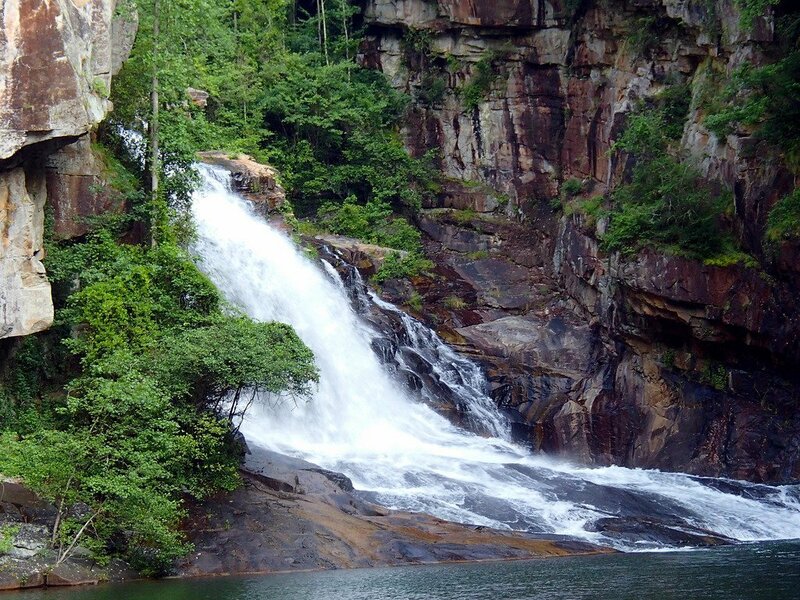 To Do: Go camping, fishing, or swimming on Tallulah Falls Lake, or hike the trails and catch a kayak race at Tallulah Gorge State Park. In the park, have a snack and see work from local artists at Tallulah Station, or learn about local history and the park’s ecosystems at the Jane Hurt Yarn Interpretive Center. To Eat: Got a hankering for ribs or pulled pork? Take in a great view and excellent BBQ at Overlook BBQ. If you’re feeling more like pizza, go for a quick 10-minute drive out of the park to Ma-Ma Dar's Pizza for some fantastic ‘za and onion rings. To Drink: If you’re looking for a beer and a casual and fun night out after a tiring day in the park, head to the Tallulah Falls Roadhouse & BBQ.